Use this TIP125 PNP Darlington Power Transistor to control something that draws up to 60V and 8A from your low power circuits & microcontrollers. 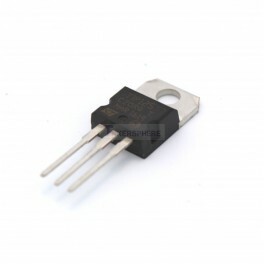 The TIP125 is a High Power PNP Transistor. Controlling high power devices is easy using the TIP125. Just attach the center pin to a 2.5V - 5V control signal and the other two pins to the high powered item you'd like to control. Complement to the NPN TIP120 Transistor.